Going on Holidays? Find here your Last Minute Travel coupons and save money! Find member-only rates so low you have to see them to believe them. Earn points toward free hotel bookings for every dollar you spend. Get advice or assistance from a travel expert 24 hours a day, 7 days a week. More than half a million Club members are saving on their hotel bookings each day. 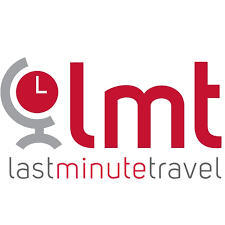 See reviews & engage with the Last Minute Travel community on any of our social media networks. Get a promo code and save!